The Jewish Cemetery at River View is part of River View Cemetery. Established in 1882, the non-profit River View Cemetery offers views of downtown Portland, Mt. Hood, and Mt. St. Helens. This bucolic setting blooms year-round with rhododendron, dogwood, Rose of Sharon, and the prized spring trillium. Evergreen and deciduous trees include the copper beech, redwood, and magnolia, as well as many mature Douglas firs. The grounds shelter deer, coyote, and other small animals. With over 80 species of birds, the grounds are also a haven for bird watchers. 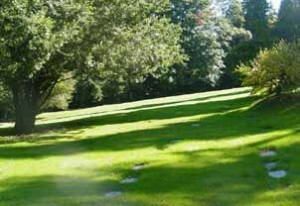 To ensure the longevity of the cemetery, its early creators established a non-profit endowment fund overseen today by the volunteer Board of Trustees. This ensures ongoing service and maintenance for future generations. To learn more about River View, visit RiverViewCemetery.org.